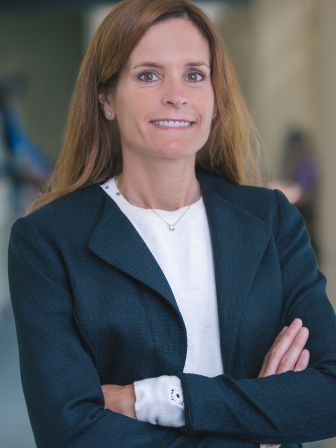 Dr. Pascual-Garrido is an Assistant Professor in the Orthopaedic Surgery, Adult Reconstruction-Adolescent and Young Adult Hip Service, at Washington University in St Louis. Dr. Pascual has a broad background in basic sciences and clinical orthopedics research and has published more than 30 publications in highly rated journals, several book chapters and served on the editorial boards of several journals. Dr. Pascual did her Sports Fellowship at HSS (Hospital for Special Surgery) where she was team physician assistant for the Mets, the Knicks and served as part of the US Open Tennis staff. She also spent 3 years at the Cartilage Restoration Center at Rush Hospital under Dr. Brian Cole and Susan Chubinskaya. Over the last ten years, she has studied cartilage in depth with special focus in regeneration, prevention of osteoarthritis and new cell therapies. Her vision is to utilize her research findings to improve clinical practice and ultimately better patient outcomes. She has established a collaborative cartilage research team involving veterinarians, biochemists and PhD scientists with CSU (Colorado State University), CU Boulder and the Regenerative Medicine center at the Steadman Philippon Research Institute in Vail. She is actually working in developing a synovial biobank. This will, in the long term, help establish osteoarthritis in a pre-clinic phase that would probably make osteoarthritis a reversible disease. She is working at the moment, together with Dr. Bryant, with stem cells and a novel hydrogel for the future application cartilage repair and bioprinting. She has been nominated as part of the AOSSM Research Committee and the ICRS educational committee. Her career aspirations include establishing a biological profile to diagnose the pre-arthritic joint and make a major contribution to hip preservation and cartilage restoration surgery. She is looking to promote and educate at international institutions, including Argentina, to give back to her country and other developing countries.